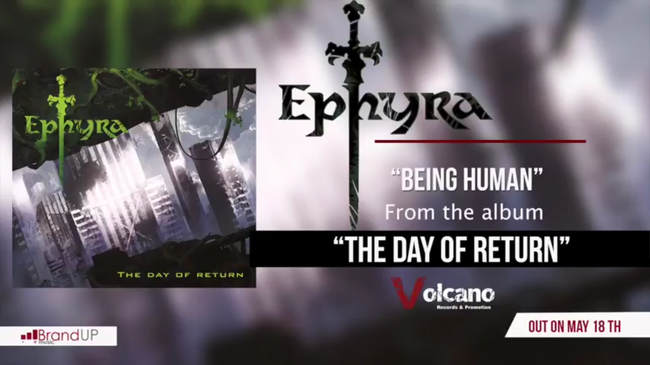 The first extract of the Lombard melodic death metal band Ephyra is titled "Being Human", and it goes to inaugurate "The Day of Return", the new multi-faceted album coming on May 18th for Volcano Records. With this debut piece, Ephyra project us into a pleasantly alienating musical microcosm. The majestic oriental atmospheres that open "Being Human" end up being torn lightly by a powerful riff ride, with a whirling sound and speed, creating a truly sublime melodic concentrate, where the western hardness of melodic death metal creatively dialogues with the most placid sounds of the Eastern tradition.